Let's face it, we're rarely surprised by a "new" denim trend. 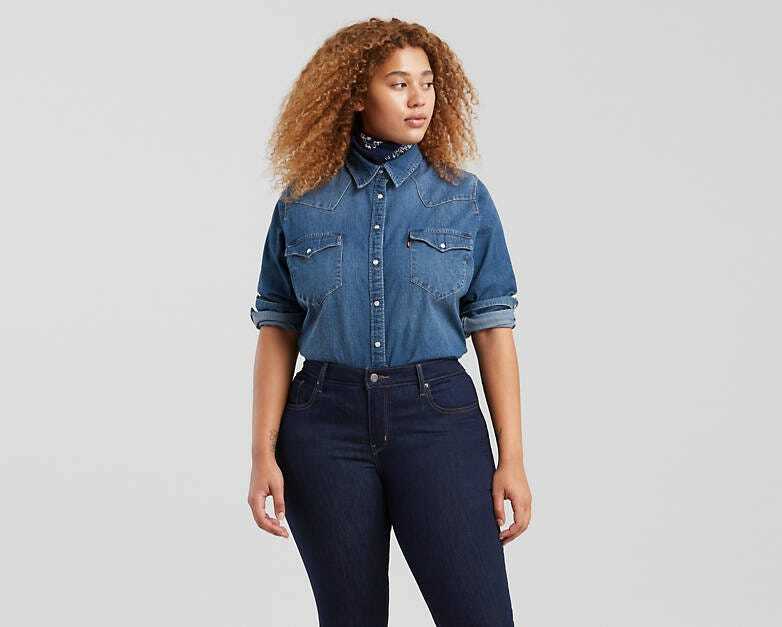 After all, denim is notorious for acting on a cyclical basis, with jeans, jackets, and everything in between constantly being recycled over a ten or twenty year basis. 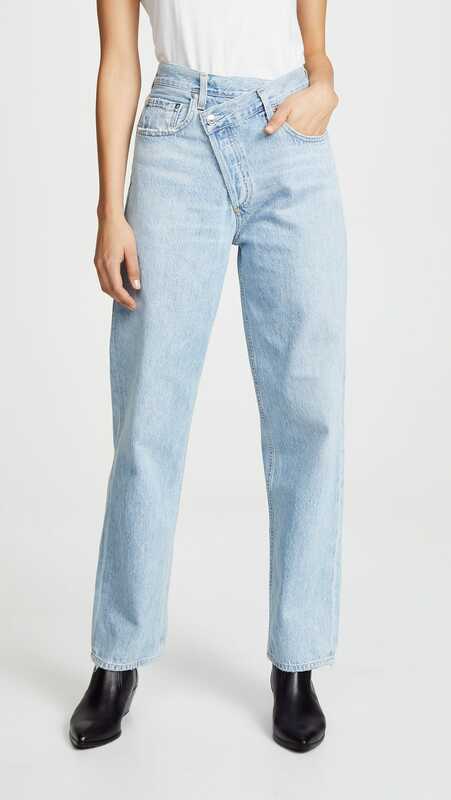 It happened with mom jeans, cropped denim jackets, high-rise midi skirts, mini skirts, flares, skinny jeans and more. 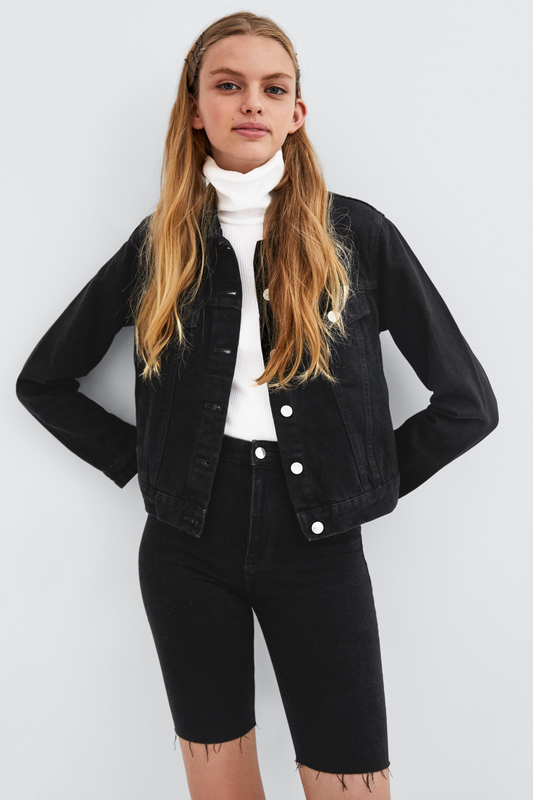 But for the first time in what feels like forever, we're getting a glimpse of some mint condition trends in the denim department. Brands are, at last, making some imaginative baby blues we can get behind. 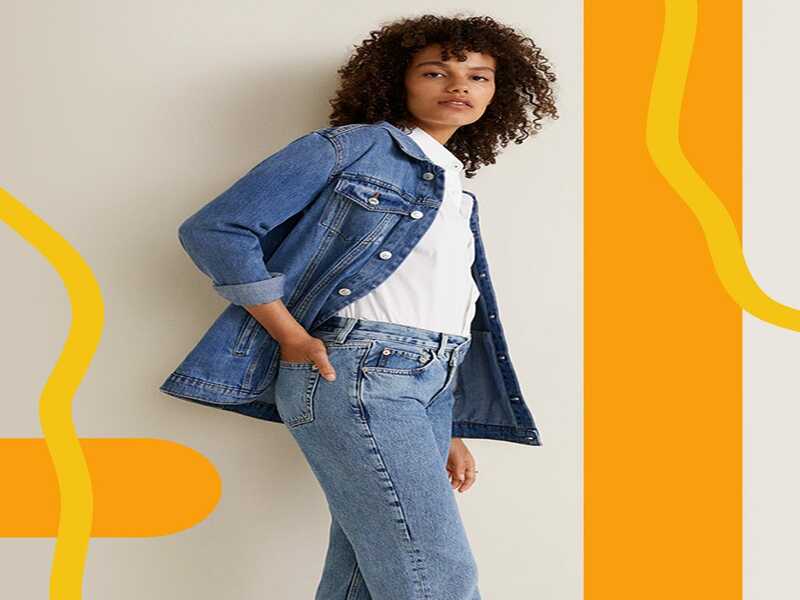 From the new way to wear bike shorts to bubble gum pink boiler suits, we're betting you didn't expect any of the five actually innovative, new denim trends we're calling out ahead. Like it or not, the wild, wild West is having one hell of a fashion moment. 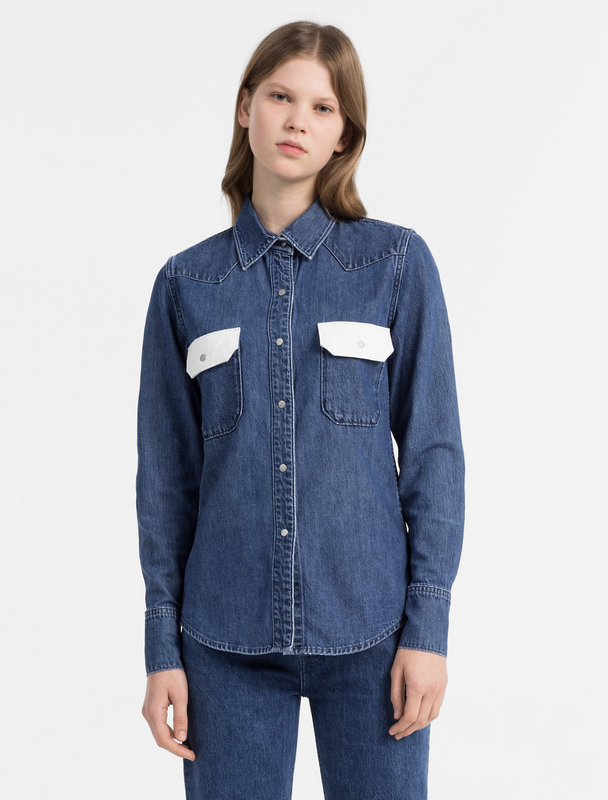 Pioneered this fall by Calvin Klein's square-toed take on the cowboy boot and kept up by prairie-style dressing from the likes of Batsheva and Ganni, western-style dressing isn't likely to leave us anytime soon — a fact proven by the recent influx in cowboy-inspired denim button-downs. 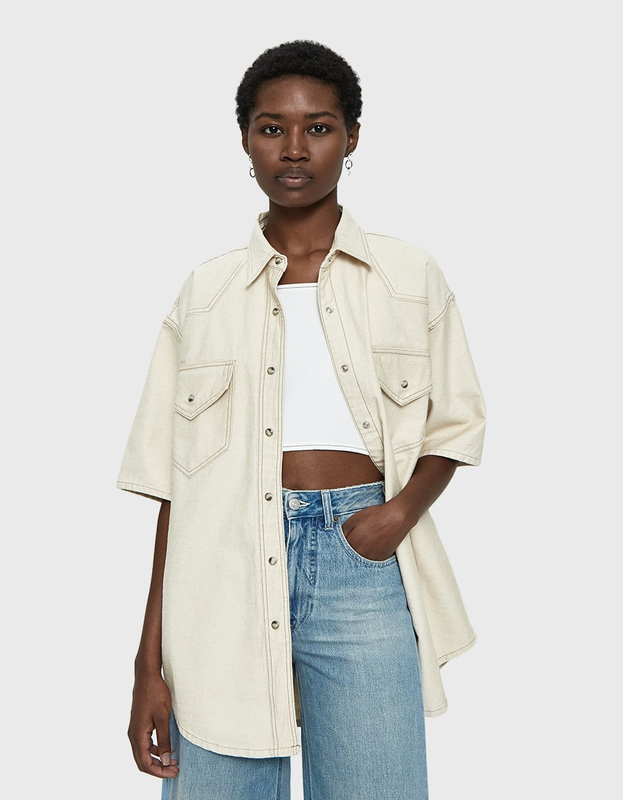 Nanushka Seymour Oversized Denim Shirt, $310, available at Need Supply Photo Courtesy of Need Supply. There's something to say about a pair of jeans that actually look different from the rest — and these most certainly do. The asymmetric crossover fly, combined with an oversized, baggy fit, make for a pair of jeans we can rally behind. 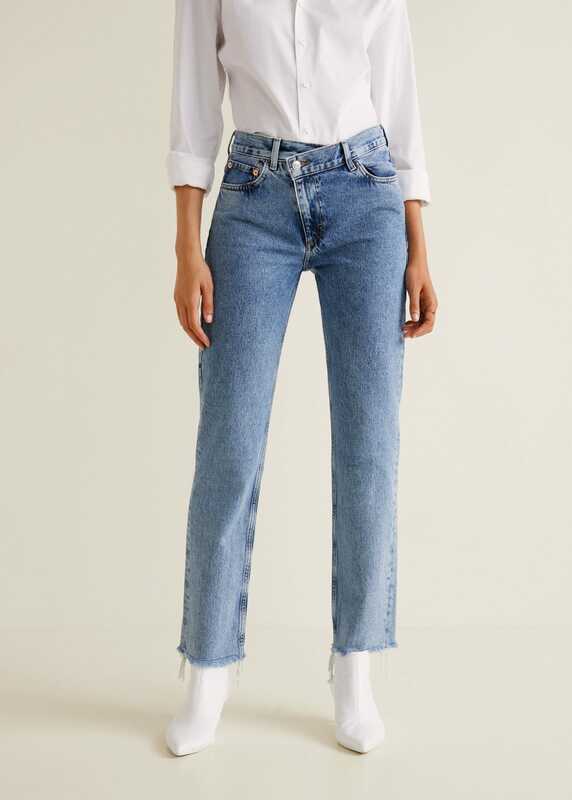 Agolde Crisscross Jeans, $178, available at Shopbop Photo Courtesy of Shopbop. Not that we don't still love a pair of cotton or spandex bike shorts, but whoever thought to give them a denim touch deserves some credit. And while shorts might not be exactly weather appropriate, with the environment these days, you never know when another 80 degree day will show its face. Zara Denim Cycling Shorts, $39.9, available at Zara Photo Courtesy of Zara. 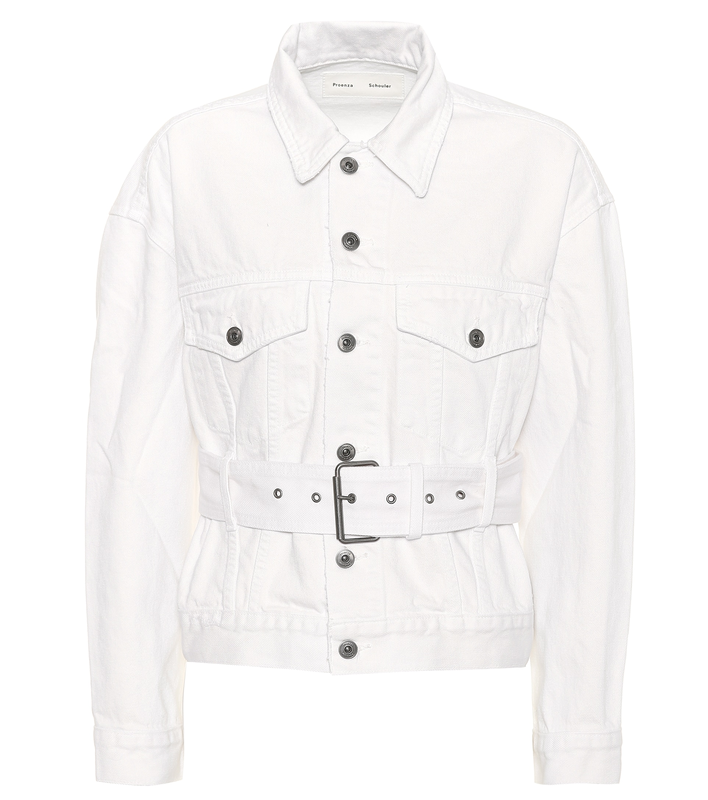 For what felt like an eternity, the denim jacket category consisted of two styles: super cropped and super oversized. Yawn. 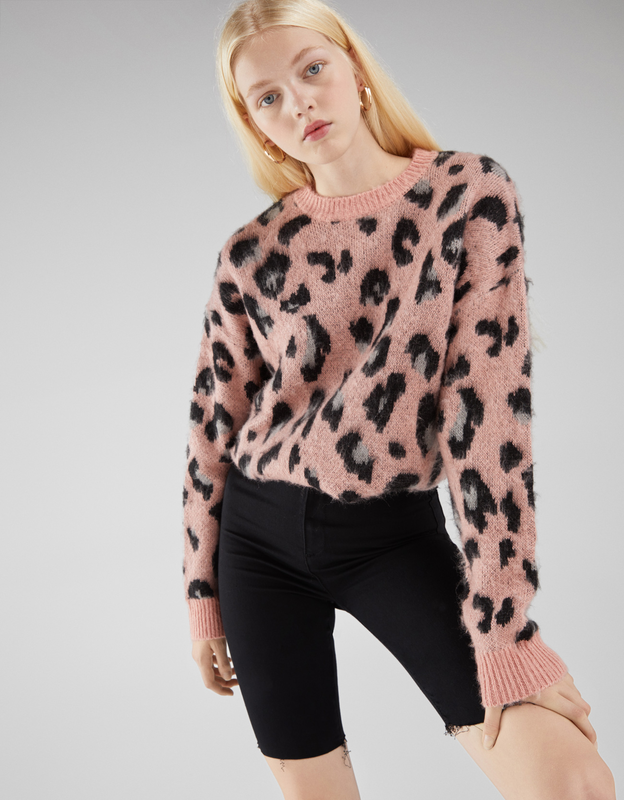 But alas, we're finally starting to see a new, more feminine alternative and it's all thanks to (drum roll please!) a belt. Where 2018 was all about office workwear (i.e., oversized blazers, matching suit sets, even the occasional tie), we're predicting 2019 to steer in another job-related style direction: utility attire. We saw our first glimpse at New York Fashion Week with Dr. Marten worker boots making a big splash, but if there's one utilitarian item we see leading the pack, it's boiler suits. 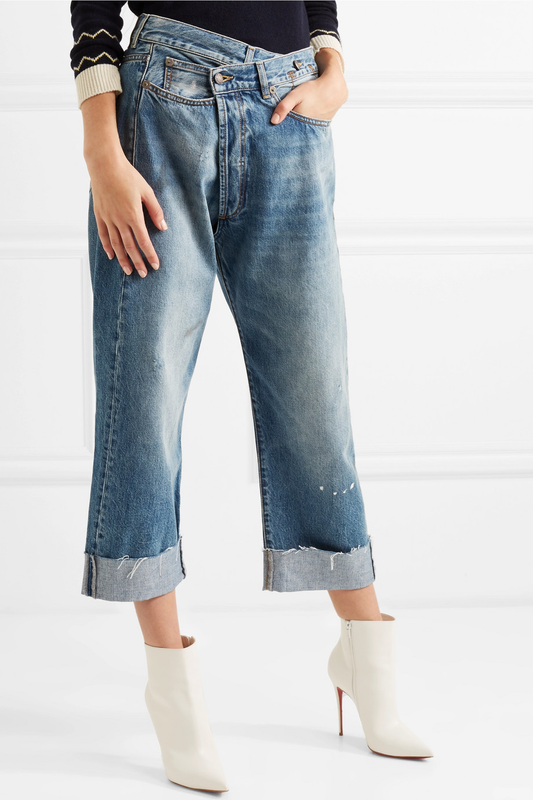 Ganni Denim Jumpsuit, $475, available at Ganni Photo Courtesy of Ganni.